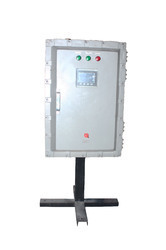 Being the reckoned names in the industry, we offer technically advanced range of Flame Proof Variable Speed Drives that are performance based and are delivered in varied grades. Our entire product range is durable in nature and is able to cater diverse requirements of the clients. These products are thermostatically balanced in nature and are delivered at affordable rates.